Balancing the criticism…. | F35B – The Right Stuff? F35B – The Right Stuff? The F-35 programme is often labelled a “trillion-dollar black hole”, the man in charge of the project vehemently disagrees and lays to rest any fears over rising costs. Lt. Gen. Chris Bogdan, the head of the F-35 joint program office, hosted a press event with reporters in defence of the programme, citing constant drops in the cost of the jet. Bogdan also pointed out that this year’s selected acquisition report (SAR) noted reducing procurement costs, down by $3 billion. The report can be found here if you wish to verify this information. The average cost-per-unit in low-rate initial production lots six, seven and eight, the last three lots on contract, have fallen. The below figures also include engines and adjust for inflation. “Affordability is the number one priority for the F-35 program and this year’s report reflects another year with significant cost reductions and we’re not stopping there. We will continue to drive costs out of the program. The F-35 Joint Program Office has a disciplined approach to analyzing and reducing sustainment costs. Ongoing activities include conducting a sustainment business case analysis and operating a cost war room to find program savings and attack operational, sustainment and total ownership costs. The bottom line is that overall programme costs have gone down and continue to massively decrease annually. F-35 will be significantly less capable than you think! oh only 3 times what you budgeted for then? No Graham, that’s not very funny. “your right it’s not funny but sadly it’s DAMN WELL TRUE!” – No it’s not, the price is now lower than a Eurofighter Typhoon and within expected. “the plane is over 4 years late” – Yes it is, but there’s been no aircraft programme in the last 30 years that hasn’t been late, especially this complex. Typhoon and Rafale were much more delayed than this. “the prototype keep ending up pancaking in the US” – Obviously, prototypes exist to be tested to extremes. “and as for the VTOL F-35 where the hell is THAT?” – Again, there are a large number of flying examples and it’s currently ahead of its test schedule. “(still under development is not an acceptable answer)” – Yes it is, because the aircraft IS STILL UNDER DEVELOPMENT, as are all variants. “we have two Queen Elisabeth class air craft carriers that have NO PLANES!” – They CANNOT HOST AIRCRAFT YET. When they leave sea trials and can host aircraft, they’ll begin receiving F-35. The carriers are not bloody ready for aircraft! “this is going the way of all the “great ideas” from the US…(F1-11 ring any bells? )” – Please, for the love of God, do some research. really? when the US armed forces procurement lot have condemned the amount of money the plane has cost so far? Now, again, please stop posting nonsense as fact. This is ALL in the report linked to above Graham. I am sorry but i happen to CARE a great deal about my former countries armed forces and the crap equipment,they are getting lumbered with! We all do but the points you made above weren’t accurate and it’s been explained why. 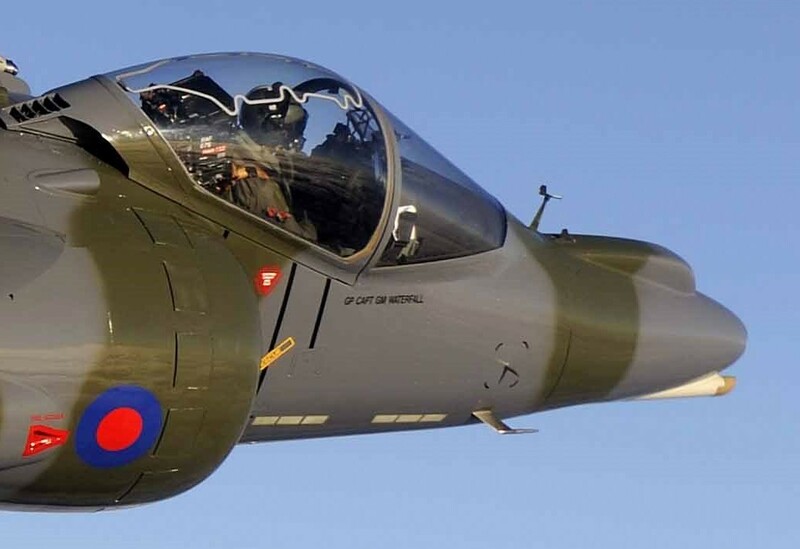 Luckily, the pilots in the RAF and FAA are very pleased with the aircraft, we’re lucky enough to have people with first hand experience of the jets in our writing team. I expect you trust the judgement of actual pilots. This entry was posted in Military Aircraft and tagged F35 on March 26, 2015 by cliverh.